A Walter Mitty character was jailed for a year after stealing from fellow tenants – and telling police he had been a victim of crime. Matthew Dunning clocked up a string of offences in October, although he had never been in trouble before, Derby Crown Court heard. The 21-year-old’s crime spree began after he moved into his mother’s house and quickly spent his £1,000 monthly salary. He then stole £10 in loose change from her. She “kicked him out” but found him alternative accommodation, said Jonathan Dee, prosecuting. This was a house divided into bedsits in Victory Road and he committed the offences there. On November 4, a fellow tenant went to work and returned to find his internal door smashed. A laptop and £20 were missing. It later turned out that Dunning had removed a wardrobe and chest of drawers but there was not enough evidence to arrest him. Police returned a week later when another bedsit was raided and another laptop had gone. Another tenant found that his room had been searched and nothing was taken. Dunning left the bedsit and returned to his mother’s home in the middle of November but she refused to let him stay, said Mr Dee. She later discovered her laptop had gone, along with a Kindle. On November 17, he went to his girlfriend’s home and took her £200 Blackberry tablet. Later he raided his mother’s home before being given accommodation by an acquaintance, only to take the man’s laptop. When Dunning was seen carrying a laptop along Osmaston Park Road, he insisted it was his. 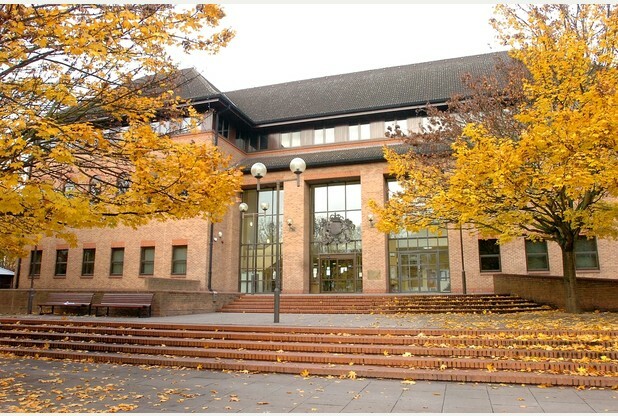 Dunning of Green Lane, Derby, admitted four burglaries, four thefts and one count of obstructing police. A further theft was taken into consideration by Judge John Burgess, who jailed him for a year. The judge said Dunning had to go to prison and described the offences as “mean”.